Crisis in Russia: Are expats leaving the country? The ruble's calamitous fall against the euro and dollar this winter and a well-publicised recession makes Russia less attractive for expats than anytime in recent memory. But are they really leaving the country? 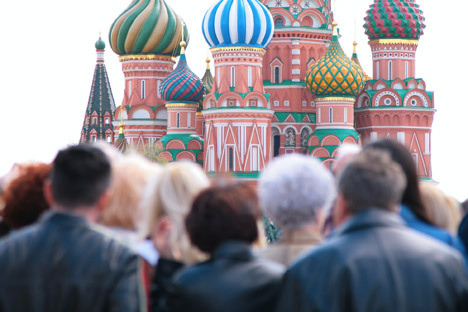 Bryan MacDonald discovers that how the economy is faring back home plays a decisive role in whether Russia’s foreigners stay or go. Learning English is difficult enough without the hassle of your teachers disappearing. Krasnodar-based model scout Tanya Firsova has gone through four native speakers this year already. "Initially, I thought it was me, or that they didn't like Krasnodar, but it's obviously the ruble. At this rate, I'll have to emigrate to Dublin to learn English," she joked. But is the situation really so uncomfortable for expats that they are leaving Russia? Juan Martinez arrived in Russia’s Far Eastern outpost of Khabarovsk in 2008, just as the economy of his native Spain fell off a cliff. Raised on balmy Andalusian nights, even after seven Siberian Januarys, he has failed to adjust to the city’s devastatingly cold winters. However, while he hated the chill, Antonio loved the spending power the strong ruble gave him back home. Helping to build a refinery near the Chinese border for Lukoil, Martinez, 47, was paid 300,000 rubles monthly, which once translated to £6,000 ($8,913). Due to the Russian currency’s recent travails, it’s now £3,500 ($5,199). Juan returns to Europe next week. Permanently. “I came here with forty other Spanish engineers and administrative staff. Most of us expected to stay around six months but now about 25 of the original crew are still here and others come and go. Some of the group married locals, some stayed here with them and others took them back to Spain,” he explains. While Western Europe’s economic position is generally improving, the eastern side of the continent remains largely moribund. Moscow-based Serb, Dragana Tomaskovic, 24, claims that Russia would need to collapse in order to match the level of despair in Belgrade. “Everyone keeps asking me, ‘are you leaving?’ Russia has some terrible publicity because things aren’t that bad! The rouble fell as low as 100 to the euro, now it’s around 65. At this rate of recovery, it’ll be back to 40 again soon enough,” she predicts. British oil-executive, John Hogan, 50, has been based in Russia, on and off, since 2004. Hogan explains that despite the current economic problems, he stays to do business in Russia. "Politics aside, Russia is a great country. The people are well educated and less ignorant than the British. That said, businesses are starting to struggle and lay people off, people are staying at home instead of travelling abroad," Hogan elucidates. "Also, supermarket prices have soared, probably fifty percent in real terms." Despite reports of a mass expat exodus, John dismisses this notion: "I have not come across any foreigners wanting to leave unless they've been forced to. I'm negotiating with four oil companies right now to provide expert services and improve their margins and my UK colleagues are still very active in Russia." While John, Dragana and Juan are all currently in Russia, Canadian Tyler Moss had planned to return after a four-year absence. The 39 year-old former ice hockey professional and NHL veteran, played five seasons with Spartak Moscow and Amur Khabarovsk and left some of his heart in the vast country. “I love Russia,” he says. However, there’s a large but. “Let’s call a spade a spade, the economy is toast and there’s no way to sugar-coat it. When I was in Russia last time (from 2006-2011) everything was on an upward curve. As a hockey player, you travelled the whole country and could see the improvements year on year. Now the data and forecasts are appalling,” Moss insists. The former goaltender subsequently found a fresh calling in the energy sector and was poised to market a new product in Russia for his Canadian company. “I was going to be based in Sochi and meet people at conferences there and do a bit of travelling around. After cold winters here in Calgary, I had an image of kicking back a bit in the Russian sub-tropics. That’s parked for now, more’s the pity. Man, I adore Russia, but it's got to sort itself out." With that, he tails off.